Technology Economics and Management, one of the sub-disciplines of Business Administration, is an emerging discipline based on the production, diffusion and application of technology. With the implementation of the strategy of invigorating the country through science, technology and education, the role of technology in the competition among corporations becomes increasingly important, which brings forward great demand for executive managers who are able to integrate technology with economics and management. Technology economics and management can be applied into the fields of modern enterprise technology management, feasibility analysis of engineering project, venture capital, finance, evaluation and management in consulting institution. It also offers the theoretical framework for investment planning and management of resource utilization by related enterprise and government departments. 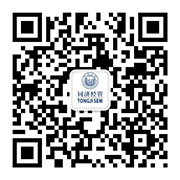 Tongji University started this master's program of Technology Economics and Management in 1990. Currently, this discipline is in a leading position in the theoretical research and practices of such fields as project and policy evaluation, venture capital, and technological innovation management. In particular, in the field of project evaluation and cost-benefit analysis, this program ranked second in National Science Advancement Award and obtained Shanghai Science Advancement Award. In recent years, the discipline widens its research fields, and has undertaken a series of important consulting projects in terms of high-tech enterprise management, venture capital and corporate finance, etc. Over the past five years, more than 300 research papers have been published domestically and internationally in prestigious academic journals across the world.